Over the Easter holiday, we are running a competition (along with our Leeds East Trust partners) to see which of the school can get the most children going to the library. We want as many of our pupils as possible to visit the library 5 times over the Easter holidays. 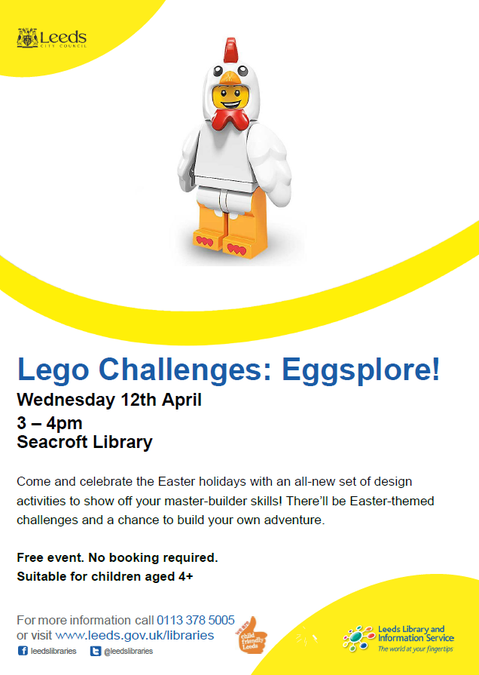 The library also has special events on over Easter, including Lego Challenges.